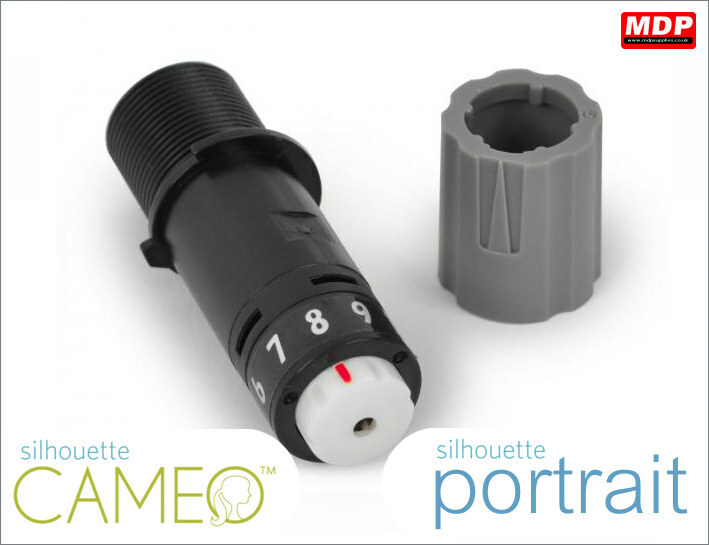 Replacement blade for the Silhouette Cameo and Craft Robo cutter. Price for 1 - 2 £11.66 ea. Price for 3 - 4 £11.46 ea. Price for 5+ £11.26 ea. 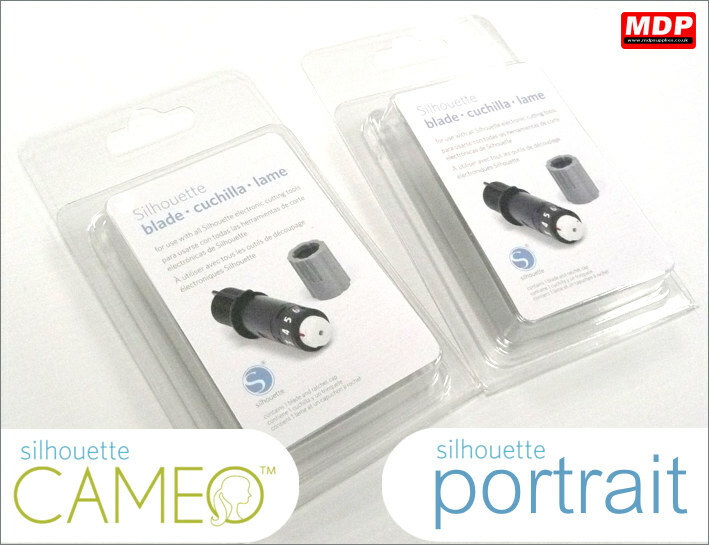 Pack of 2 replacement blade sets for the Silhouette Cameo and Craft Robo cutter. Price for 1+ £22.07 ea. 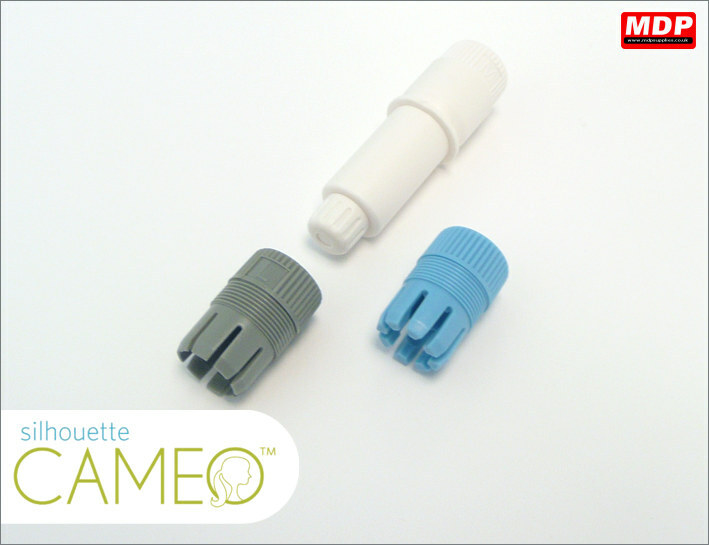 Premium blade for the Silhouette Cameo and Craft Robo cutter. The premium blade can last up to 3 times longer under normal cutting conditions. Price for 1 - 2 £14.79 ea. Price for 3 - 4 £14.49 ea. Price for 5+ £14.29 ea. Pen holder for Sakura and ballpoint pens so they can be used in the Silhouette Cameo and Silhouette Portrait. This is the new style pen holder. 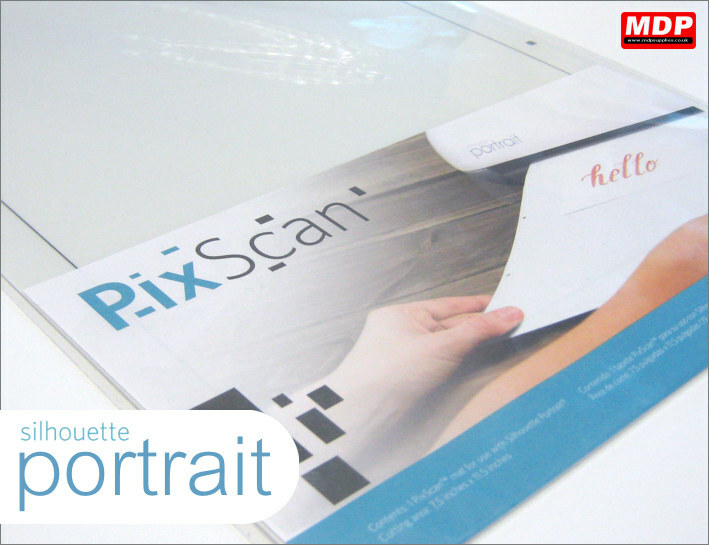 Using a camera phone (or digital camera) take a picture of your design on the PixScan mat and then import into your computer. 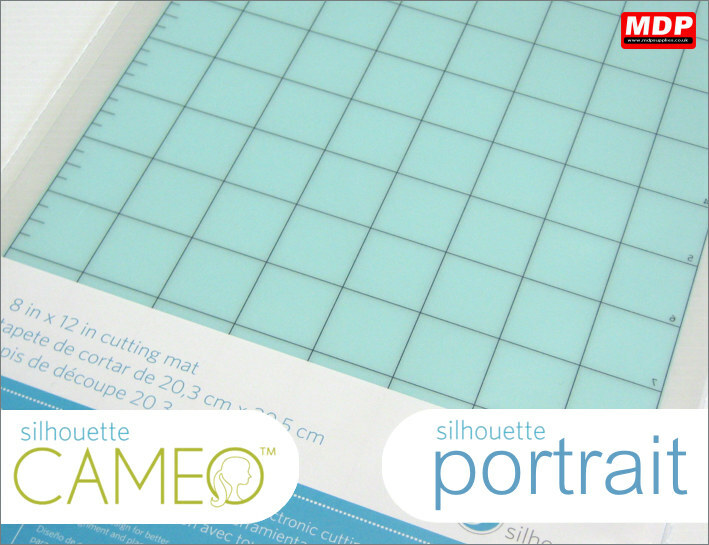 Once imported simply add the cut lines in Silhouette Studio software, then put the mat into your Silhouette Portrait and press cut. Mat size 23cm x 28cm. 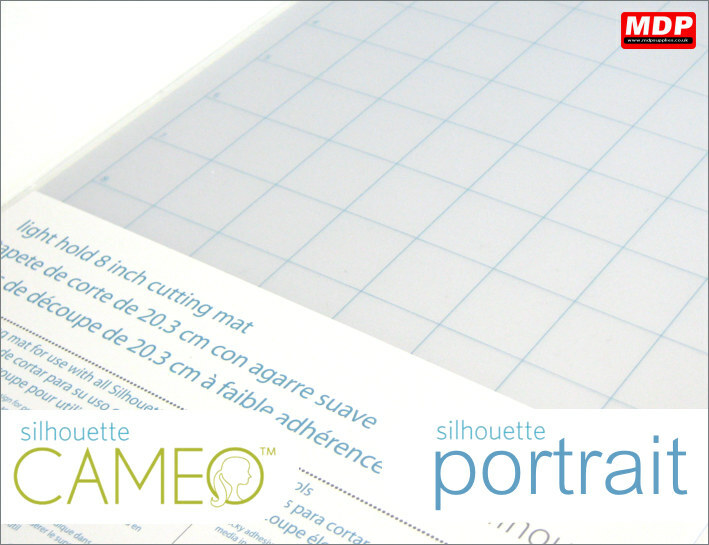 Replacement A4 carrier sheet for the Craft Robo CC330 and the Silhouette Portrait machines. 8x12 inch (20x30cm) Single carrier sheet. Price for 1+ £8.95 ea. Light tack A4 carrier sheet for the Craft Robo CC330 and the Silhouette Portrait machines. 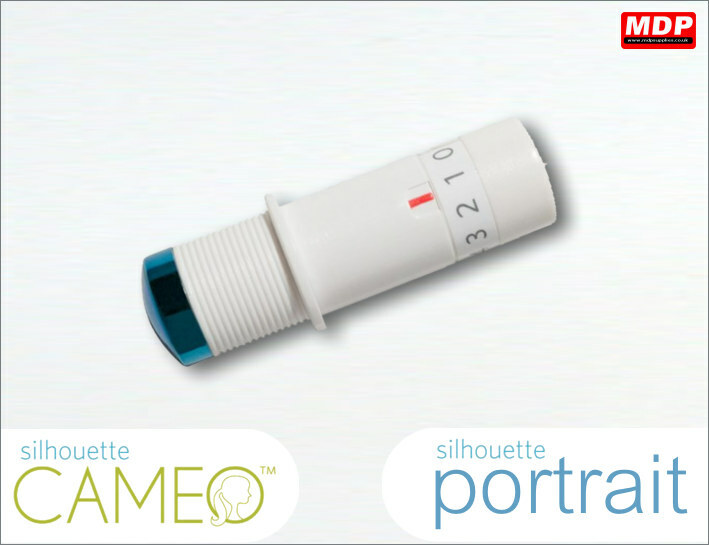 Ideal for more delicate media. 8x12 inch (20x30cm) Single carrier sheet. Located under the cutter blade this replacement strip protects your cutter from damage when the incorrect pressure is used. 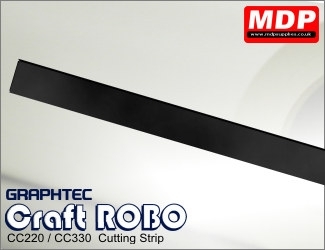 Easy to replace and self adhesive, this strip is for the Graphtec CC220 / CC330 Craft Robo cutter. Price for 1+ £15.00 ea.